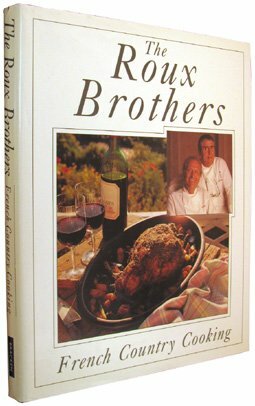 The Roux brothers reinterpret the classic recipes of their traditional cuisine, passed down through generations of French food lovers. Divided into 12 distinct culinary areas, they select the best regional specialities and local delicacies. Ingredients are listed in French and English. Each region is represented by a selection of its most delicious recipes, beginning with a personal appreciation of the area, its wines, cheeses and food. The recipes are followed by a list of the ingredients in French and English that are peculiar to the region, enabling the visitor to recognize and make use of them. In "French Country Cooking", two of the world's most celebrated chefs and holders of the coveted three star Michelin awards, Albert and Michel Roux, return to the roots of their culinary art with the authentic, classic cooking of regional France. Over 150 traditional recipes, from the flavoursome and sustaining dishes of Provence to the most exquisite desserts of Champagne, along with 80 photographs, celebrate the diversity of this most prestigious cuisine.